Best Seller Publishing announces the release of Kurt Hegetschweiler’s new book, “Million Dollar Builder : Discover the Road Map for Optimizing Your Profit, Work-Flow and Cash-Flow and Achieving a Seven Figure Net Profit in 3 Years or Less.” It will be available for free download in the Amazon Kindle Store for one more day on September 14th. 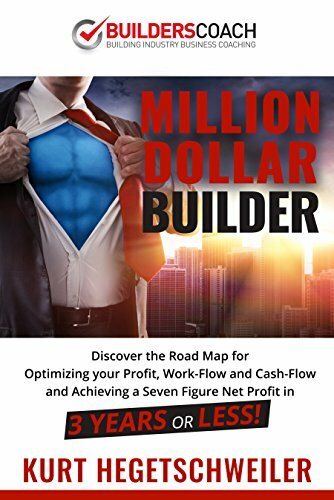 “Million Dollar Builder” by Kurt Hegetschweiler will be free and available for download on Amazon for 1 more day (09/14/2018) at: https://www.amazon.com/dp/B07G3JMB4M. “Fantastic book for anyone running a building company or thinking of doing so. It is split up into 7 core areas of running a building company and has a 30 day challenge to use what’s learned.The book also comes with a link to some great recourses from scripts to templates very useful, I think there’s definitely something here for anyone running a building company regardless of experience.Thanks can’t wait to get started making some changes.” – Dave F.